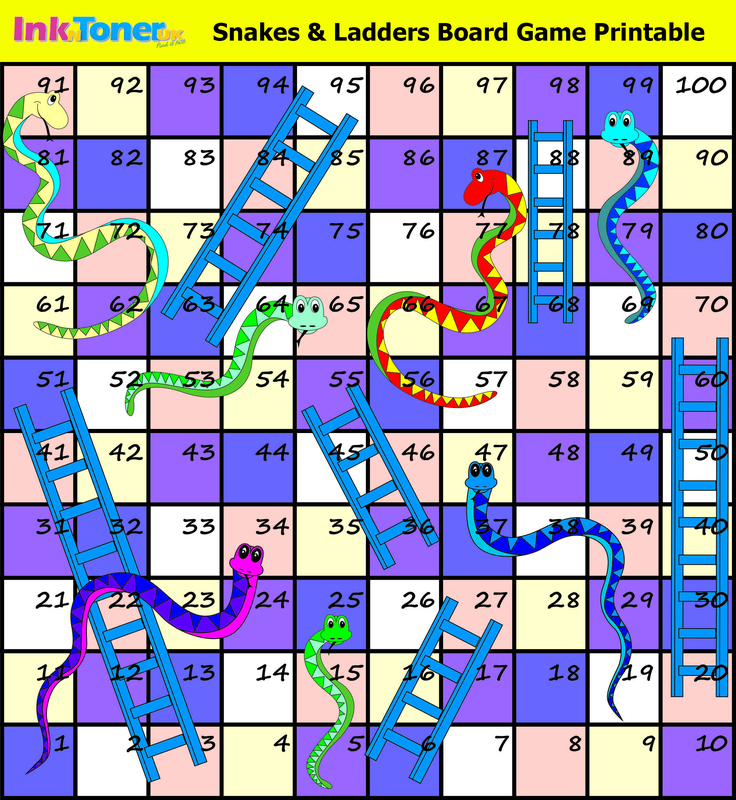 Be the king of Snakes and Ladders by playing this board game. Just print out this snakes & ladders board game printable and put it on a cardboard. All you need is a dice and and the winner is the first one to reach 100 steps. This Snakes and Ladders game is fun for children of all ages, so put away your phone and your iPad and it’s time to go back ‘old school’.